Nascar Name Changes: Sprint (and before that Nextel) have been fixtures on motorsports top circuit for more than 10 years, but in 2016 the spot will be open as the telecom recently announced plans to drop the monster sponsorship at the end of its current term. Meanwhile, the Nationwide Series will get a new look as well with a reported 10-year, $200 million Xfinity deal. Sponsors Face The Tough Questions: When properties misstep, sponsors often take heat for their support. That's nothing new. Still, in 2014 the media fervor was louder than ever as sponsors had to make tough decisions, often based on incomplete and breaking news. From the NFL's domestic violence issues to the Los Angeles Clippers ownership change, sponsorship pros were increasingly forced to brush up on their crisis management skills. Despite it all, most sponsors decided the best option was not to end deals, but rather to be part of the solution with their partners. Emergence of Daily Fantasy: With DraftKings and FanDuel leading the way, fantasy sports was undoubtedly the hottest sponsorship category of 2014. Don't look for the land grab to let up any time soon with new players popping up every day to challenge the big two. 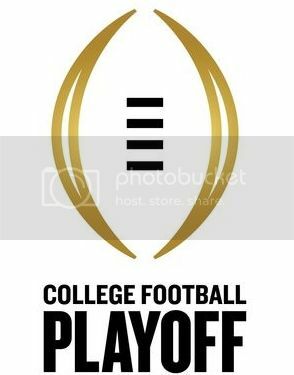 College Football Playoff: The stakes got even higher this year with ESPN reportedly selling CFP bowl sponsorships for nearly $25 million and we'll see if the hype lives up to the rights fee starting tomorrow. Before the CFP even kicks off though, it's already been a monster year for college sports sponsorships with Notre Dame hooking up with Under Armour in the biggest apparel contract in NCAA history and Learfield scooping up Nelligan Sports Marketing and its 40+ college property clients. The Selfie Sponsorship: Whether you're a fan of the selfie craze or not, it's hard to miss with celebs (and presidents) getting in on the act, but let's not forget that the single biggest moment in the selfie "movement" was thanks to an ingenious Samsung placement at the Academy Awards. Did we miss anything? Let us know in comments and if you want to flashback to 2013, go here. Best wishes for a happy and successful, sponsorship-filled 2015 from SponsorPitch!